Homepage for Author Mark Carver: BEAST HAS BEEN UNLEASHED! IT'S HERE! My sixth novel BEAST has been released by The Crossover Alliance. I'm super pumped about this book. 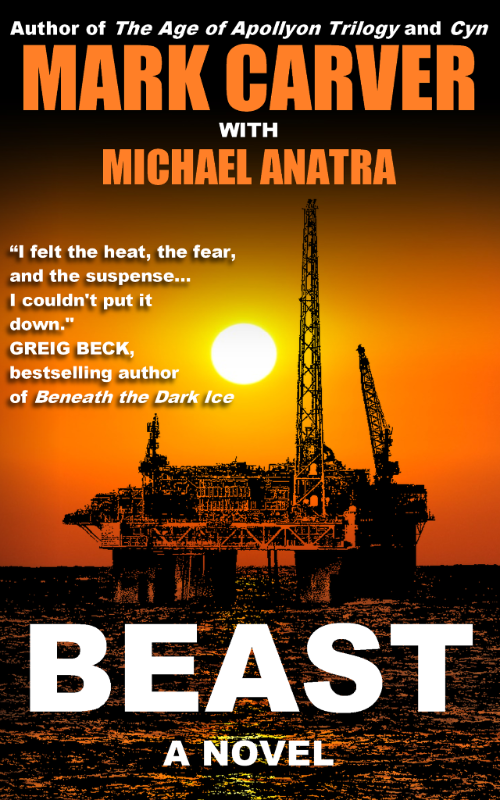 Bestselling Australian action author Greig Beck loved it, and I had to put his kind words on the cover :-) If you're looking for a pulse-pounding, breathless read infused with terrifying realism but doesn't bog down in technical details, you will love BEAST. Get your ebook or print copy today from Amazon.com or direct from The Crossover Alliance. Coming soon to BarnesandNoble.com and iTunes!